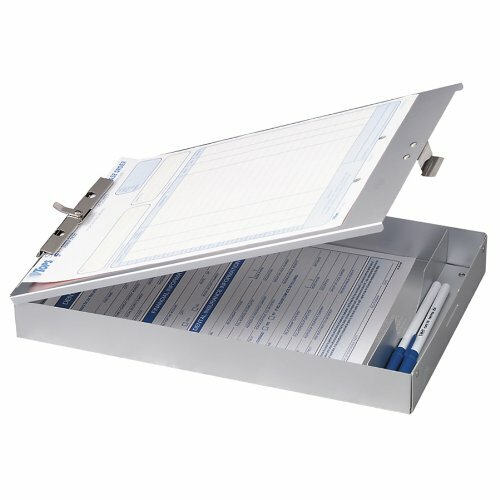 Clip Capacity: 50 Sheet / 1"
Storage clipboard offers a convenient steel clip that holds 8-1/2" x 12" forms in place on a firm, smooth outside writing surface. 1-1/2" deep interior stores up to 50 extra or completed forms up to 8-1/2" x12". Clipboard offers additional compartment for pencils and pens.